This roadside inn in Harrismith is really located on the N3, halfway between Johannesburg and Durban. If you are looking for a hotel in the Free State with superb views of the Platberg Mountains, look no further than the Harrismith Inn. The hotel has 119 modern furnished rooms, set around a large swimming pool, in addition to a restaurant which is open for breakfast and dinner 7 days a week. 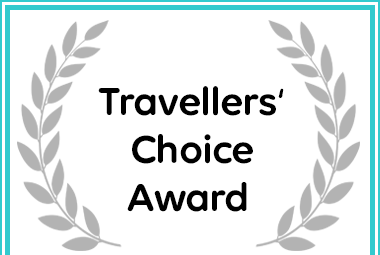 Afristay named Harrismith Inn a Travellers’ Choice Award. Our restaurant is open for breakfast and dinner, 7 days a week, offering a carvery, buffet and a la Carte menu. The residents bar, Sir Harry’s, offers a pool table for your entertainment. All rooms in the hotel are en-suite and air conditioned with tea and coffee facilities, hairdryers and satellite TV. The rooms, on 2 floors, surround a large swimming pool, so you are never far from a cooling splash when the mercury rises. At the Harrismith Inn we offer all the necessary hardware and technological support you need in order to make of your meeting, event or special occasion a complete success. We provide you with more than just the Room and a view plug point, we also provide you with the necessary equipment and Tea/Coffee breaks, Lunches and Dinners. The town was founded in 1849 and named after Governer Harry Smith. An important crossroad in the land trade routes, it is still rich in the beauty of the surrounding mountains and rivers. The Freestate with all its glory offers all there is to offer; from Farming to Mining, to pure natural beauty. The Free State Province also has a lot of attractions in the line of bird watching, wildlife, hiking trails and sport to name but a few. Golf is certainly one of the major attractions, seeing that Harrismith Golf Course (built in 1887) is the third oldest Golf Course in South Africa.